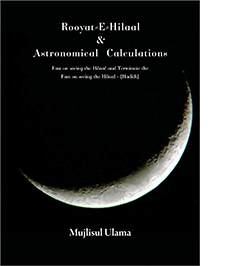 An Association of present–day ‘scholars’ known as ‘Fiqh Council of North America’ has disseminated an article captioned: The Astronomical Calculations: A Fiqhi Discussion. The author of the article is Dr. Z. A. Shah who is a member of this Council of North America. The objective of the corrupt article is to convince Muslims of the ‘redundancy’ of the 14 century immutable law of sighting the moon for the purposes of Ramadhaan, Eid and the Islamic months in general. Under guise of ‘Fiqh’, the modernist so–called ‘Fiqhi Council’ has committed debauchery in their article, mutilating the Law of the Shariah with distortion, misinterpretation, misrepresentation and downright stupidities unbecoming of men of Knowledge. In the article, Dr. Shah commits intellectual abortion, gruesomely aborting and criminally mutilating the Ahaadith of Rasulullah (Sallallahu alayhi wasallam) with misinterpretations and concocted ‘principles’. Descending into the dregs of ilhaad (heresy), he casts aspersions on the authenticity of Ahaadith which enjoy the loftiest pedestal of authenticity. Perpetrating Ta’weel Baatil (baseless and false interpretation), Dr. Shah, subtly and cunningly seeks to negate a Law which is grounded deep in the 14 Century Ijma’ (Consensus) of the Ummah, which in turn is the immutable Product of such numerous Ahaadith whose authenticity not a single Authority in Islam’s history has ever challenged or discredited. One misguided, lost soul, Dr. Rasheed Maqdisi, the Dean of a university in Yemen, has written an article in which he abortively laboured to ‘prove’ that according to the Shaafi’ Mathhab it is permissible to shave off the whole beard even without valid Shar’i justification. The view he has peddled is absolutely baatil — baseless, devoid of Shar’i substance – and the arguments spawned to bolster the ghutha (rubbish) he has disgorged, have no validity in the Shariah. Dr. Maqdisi has exhibited his inexpertise, in fact his jahaalat in the concoction he has prepared with the objective of convincing the ignorant and the unwary that the fourteen century shaving prohibition is erroneous. His research of the Shaafi’ kutub of Fiqh is extremely defective, and his understanding thereof is even more deficient. 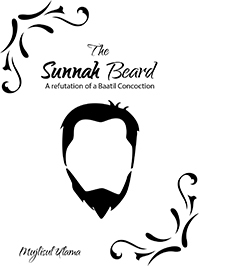 Whilst the Shaafi’ Mathhab’s prohibition of interfering with the beard is the strongest of the Four Math–habs, this miscreant Dean has struggled to extravasate permissibility for the kuffaar practice of shaving the beard ‘on the basis of a certain difference of opinion among the Shaafi’ Fuqaha pertaining to the sphere of Fiqhi technicalities. By the fadhl of Allah Ta’ala, in this refutation, we have dissected and demolished his ghutha. We express our gratitude to Allah Azza Wa Jal for having enabled these humble servants, deficient in the capital of Ilm, to eliminate the flimsy veneer of ‘proof’ with which Maqdisi has endeavoured to mislead the ignorant and the unwary. We have by Allah’s fadhl laid bare the miscreant’s stupid arguments which have confused those who have read it. Alhamdulillah, the Haqq is adequately substantiated and guarded by this treatise of Amr Bil Ma’roof Nahy Anil Munkar. Islam has emphasized the importance and the significance of purity and purification. Purification that is purification of body, garments, home and heart is commanded by the Shariah as a compulsory duty. Its importance is to be gauged from Allah’s declaration of love for those who purify themselves. The tremendous significance of purity (Tahaarat) is borne out by Rasulullah’s (Sallallahu alayhi wassallam) assertion that half of Imaan consists of purity. 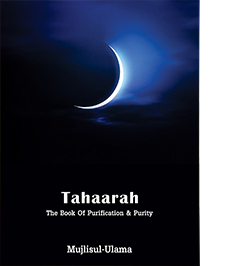 Kitaab–ut–Tahaarah deals with various forms of purification, e.g. 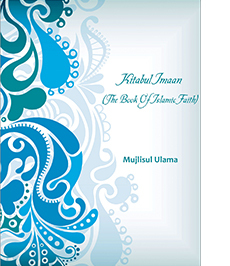 Wudhu, Ghusl, Masah Alal Khuf–fain, Tayammum, well purification, etc. Each will be dealt with separately and in detail, Insha’Allah. FIR’OUN, The pharaoh of Egypt, the self proclaimed ‘Almighty God’, was forewarned by his astrologers and magicians that a boy would be born in Bani Israaeel, who would eliminate his kingdom. The astrologers had predicted the exact moment of a certain night when a lady from Bani Israaeel would conceive the boy. Despite the most elaborate measures instituted by the Pharaoh to prevent this conception, by the Qudrat and Decree of Allah Azza Wa Jal, Hadhrat Musa (Alayhis Salaam) was conceived in the womb of his mother that very night and at the precise moment predicted by the astrologers. And this momentous episode took place right in the palace of Fir’oun. The next morning, the astrologers and magicians informed Fir’oun that all his measures to prevent the conception of the child had failed and that the event had already occurred as they had predicted. Despite his rage, his fear was overwhelming. He assembled his advisors and officers to plan the next move for eliminating the threat which faced him. It was decided that every boy born to the women of Bani Israaeel henceforth would be put to death. Fir’oun enlisted the services of thousands of midwives who were called in from all parts of the land. A midwife was appointed to every household of Bani Israaeel, and soldiers were permanently stationed in all areas where Bani Israaeel resided. As soon as a boy was born, the midwife wrote her report. Soldiers were called in to take away the baby who was then slaughtered. The aforementioned aayat of the Qur’aan Shareef refers to this brutality of Fir’oun. 90,000 of male infants were slaughtered in Fir’oun’s plan of horror to thwart the Decree of Allah Ta’ ala. Not a single male infant of Bani Israaeel was spared. Nine months after conception, the wife of Imraan gave birth to the baby boy who was destined to bring the downfall of Fir’oun. Hadhrat Musa (Alayhis Salaam) was born and as the midwife appointed by Fir’oun took the infant in her hands she was overwhelmed by love for this beautiful baby. She had never set eyes on such a beautiful infant before. She told the baby’s mother not to be worried and scared. She would inform the soldiers that a dead girl was born and buried by her. 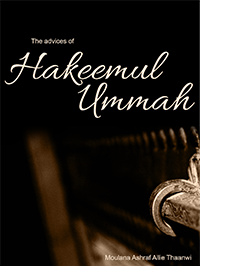 Saum is among the fundamental acts of Ibaadah. 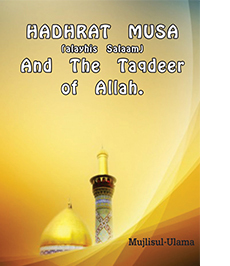 It has been ordained by Allah Ta’ala for the development of Taqwaa (piety) in the Mu’mineen. 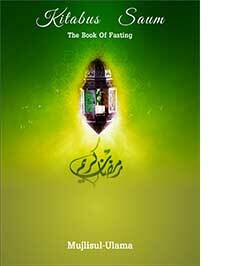 Fasting is extremely efficacious for the acquisition of Taqwaa. A Muslim cannot acquire Divine Proximity without Taqwaa. Without Taqwaa, the Muslim must necessarily drift far off the straight Path (Seeratul Mustaqeem) which leads to Allah Ta’ala and everlasting success in the Akhirah. One who denies the fardhiyat (obligation) of Saum, no longer remains a Muslim and the one who does not fast during the month of Ramadhaan is a faasiq (an immoral and flagrant transgressor) of the highest order. Such a faasiq totally destroys his spirituality and morality and exposes his Iman to the gravest onslaughts of kufr. Without Imaan, righteous deeds are not accepted for reward in the Aakhirah, hence the aayat says: “While he or she is a Mu’min.” Thus the basis of acceptable virtuous deeds is Imaan. Entry into Jannah Najaat in the Aakhirah – is dependent on Imaan according to the Qur’aan Shareef. Maut (Death) is the inescapable event the inevitable reality which Mu’min and Kaafir acknowledge. 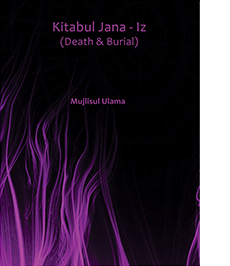 In so far as the Mu’min is concerned, Maut is not the end of life. It is simply another stage in the onward journey of man back home Jannah from whence he heralded. Being a dunce in an Islaamic Madrassa is a million times better than studying secular education. This is so because even though such a student may lack aptitude his Aqaaid (fundamental beliefs) will not be corrupted and he will have love for the people of knowledge even though his personal capabilities do not extend beyond that of a street sweeper. Becoming a street sweeper is better than obtaining competency in secular education in order to become a lawyer, barrister etc , which only leads to a corruption of Aqaaid (beliefs), uncertainty of Imaan (faith) and disrespect for Allaah, Nabi (S.A.W. 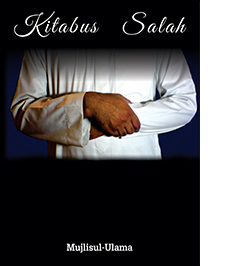 ), the Sahabah (R.A.) and even the Auliyaah (pious saints). This is not only the majority but inevitable result of modern secularism. Sure, that person who has no concern for the death of his Deen (religiosity) may do as he pleases. All praise due to only Allaah, Durood upon His beloved Rasul, Hadhrat Muhammad (S.A.W) who came with the final Message, the Final Shariat, the last Kitaab –al- Quraan, as the Last and Final Rasul of Allaah. Nabi (S.A.W) was given as companions, the Noble Sahabah (R.A) with whom Allaah is pleased with and they are pleased with. The work in your hands contains pearls of wisdom to strengthen one’s Imaan, provide a guide to improve one’s character and behaviour. 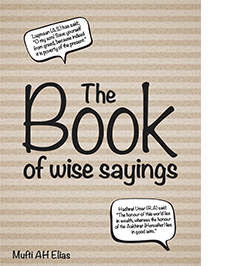 We suggest that one reads the book once from beginning to end then a chapter a day. After which a saying a day with pardoning and deliberation. This will be beneficially. Imaams may read passages to their congregations whilst extracts from the book can be used as fillers in Books, Leaflet, Journals, Magazines, and Newsletters etc. We request for duaas and suggestions are always most welcome.